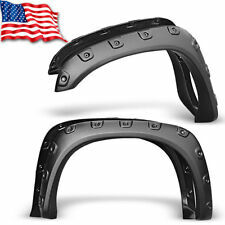 Not Fit 06-09 w/Fleetside Bed Lengths 97.9" 97.5" 98.3"
Do Not Fit Daully Models !Free Fast Shipping Both Ways! Must Look! Perfect Fit Technology! OEM Material! 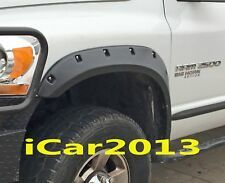 2010-17 Dodge RAM 2500/3500 Smooth Pocket Rivet Fender Flares Wheel 76.3" 98.3"